From midday until 6pm we are rolling out the red carpet and popping corks in honour of the big race. 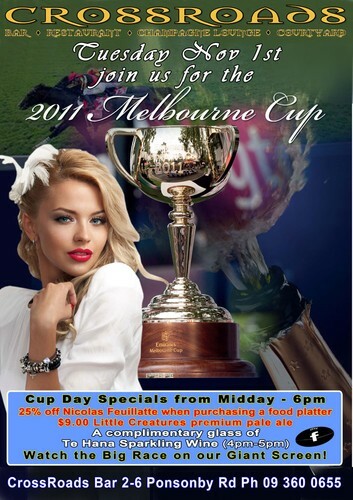 Come down to CrossRoads Bar for an afternoon of drink / food specials and watch the Melbourne Cup live on our giant screen! Spot prizes for best hat & brightest tie!